Very nice semi detached village house on three levels, comprising a nice living area with kitchen and wooden stove and direct access to a covered terrace, a mezzanine facing south, two bedrooms, a bathroom with toilet and a shower room with toilet. Workshop and two other rooms which could be renovated. Nice vaulted cellar and small garden on the other side of the street. Amazing views. Looking out from the South-facing side of the valley, the villages of Le Versant du Soleil are at an altitude between 950 m and 1 200 m.
In the summer, autumn and spring, the area is fantastic for hiking, mountain climbing, abseiling and parapenting. White-water rafting and kayaking are available in nearby Bourg-Saint-Maurice. The immediate locale is on a comparatively gentle slope for the area, making it a draw for cyclists looking for a less arduous ride. 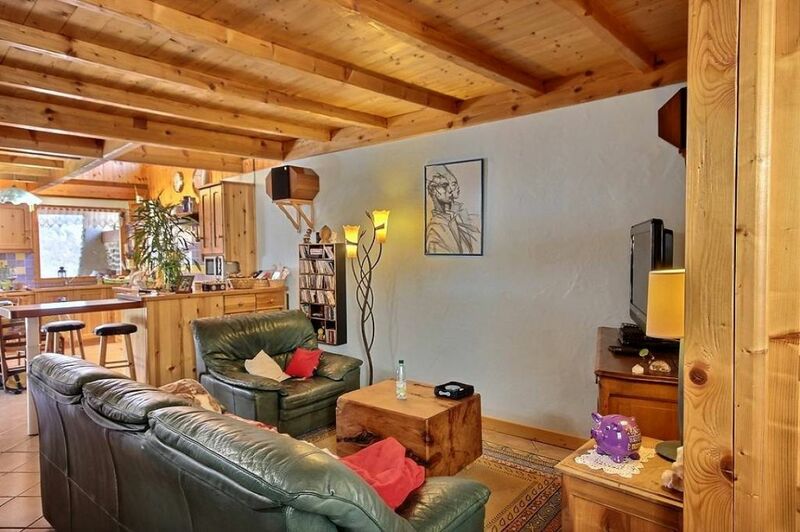 Nearest golf course is in Les Arcs - a 30-minute drive .